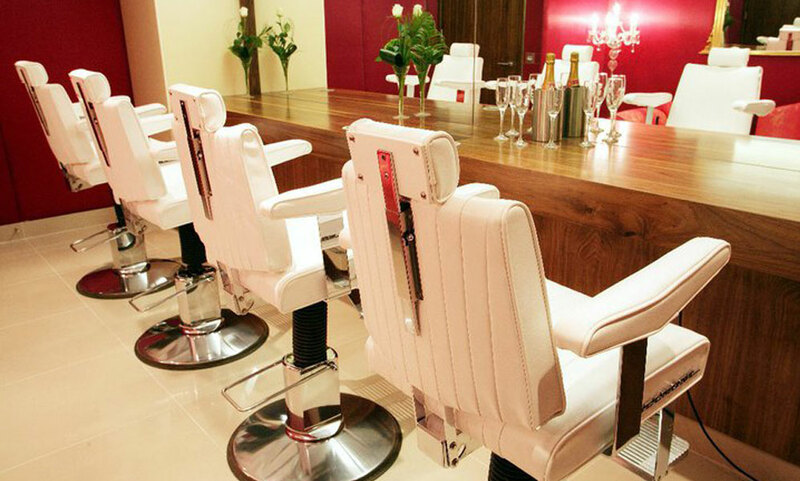 Surgery Hairdressing started as a small salon in 2001 with just four stations. Within six years the salon relocated to a three storey twentieth century building, and underwent a major renovation - totally gutted and redesigned. 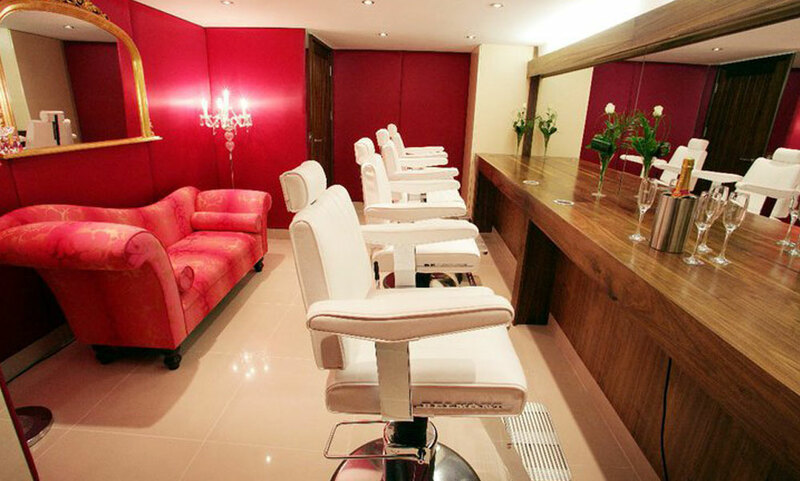 The result is a stunning and unique salon that offers clients the ultimate hairdressing experience. 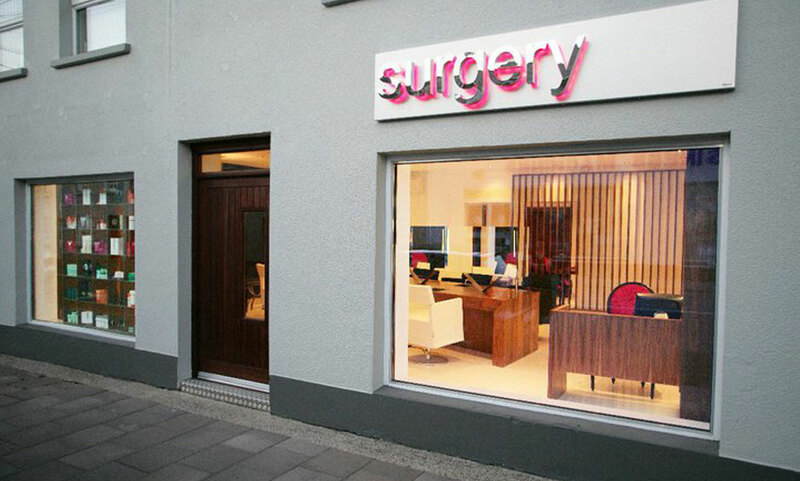 Surgery Hairdressing is divided into three distinct areas, each with its own different yet complementary colour scheme. The ground floor optimises natural light with white walls and white high gloss porcelain flooring, plus a signature wall of black and white velvet stripes with complimenting black velvet chairs. 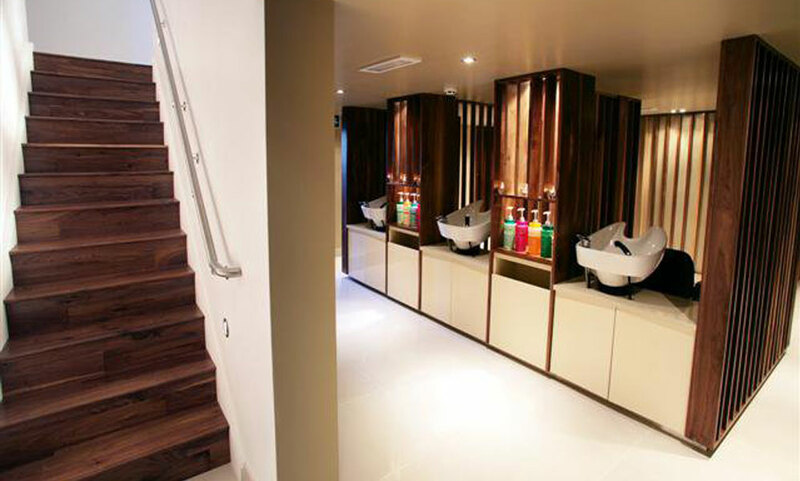 In contrast the salon’s ‘hair spa’ basement is painted in a warm stone shade across the walls and lowered ceiling, with wooden dividers between each basin to give the ultimate privacy. 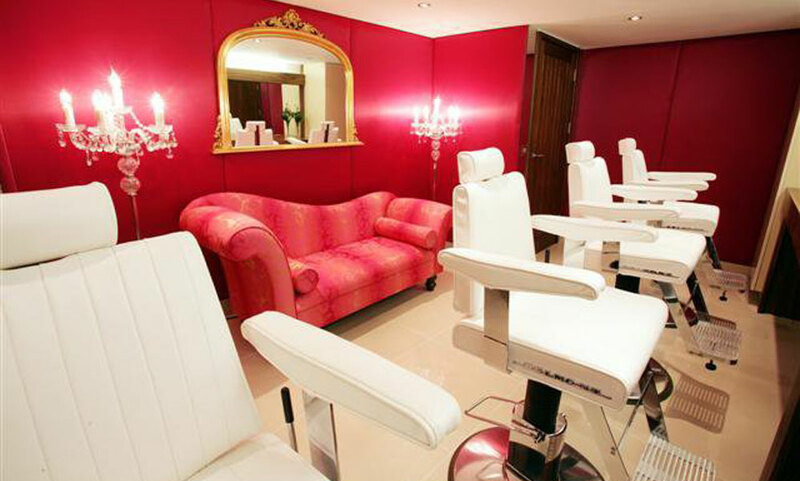 The lavish VIP room features padded pink walls and a golden chaise longue - great for weddings, hen parties or girls get together. To book directly with us please click here. Such a great team of ladies! Very excited about my appointment on Saturday ladies!! Relaxation with the best service.. Wouldn't go anywhere else! First Class as always! Excellent! Massive thanks to Lorraine & Nicola for 'rescuing' my hair!!! Not sure how u managed to sort my hair out!! I certify that this review is based on my personal experience of Surgery Hairdressing and is my opinion. I have no business or personal link with Surgery Hairdressing and have not been offered payment to write this review. By providing these comments you give Good Salon Guide permission to review and publish this information. Good Salon Guide reserve the right to edit comments for length, spelling or clarity where appropriate.